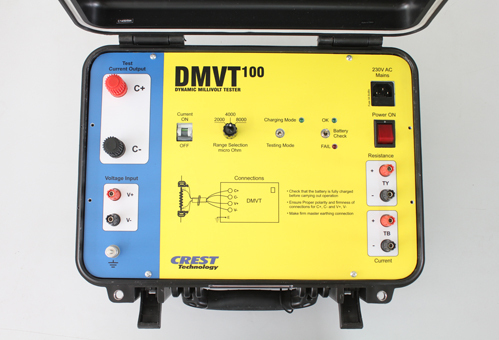 DMVT – Crest Test Systems Pvt. Ltd. Dynamic contact resistance measurements are necessary to understand the condition of the arcing contacts of the circuit breaker. Static contact resistance measurements do not give us information related to erosion of arcing contact, misalignments of the contact, and damages to the driving mechanism. 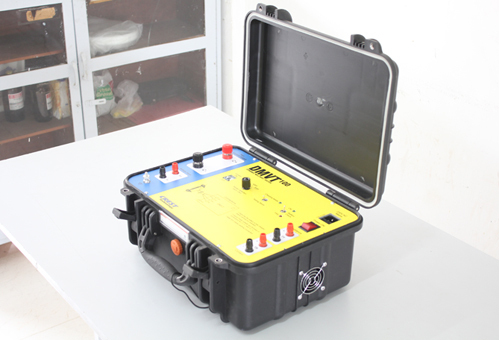 DMVT Dynamic Contact Resistance Meter is an accessory, used with AutoScan and CBScan series of circuit breaker test systems. It is used essentially to test the MV and EHV Circuit Breakers with insertion type of contacts. A test current of 100A DC is injected into the circuit breaker contact and the circuit breaker is made to perform a close-open (C-O) operation. While the circuit breaker is operating, the dynamic contact resistance curve (DCRM signature) against time is plotted. DCRM signatures give information regarding the length of the arcing contact, contact wipe and erosion of main and arcing contacts, misalignments of the contacts, fitness of the linkage mechanism, contact resistance of the main and arcing contacts, contact travel, speed, etc. DCRM signatures help to monitor the condition of the contacts without opening the interrupter. Independent, isolated, inbuilt 100 A DC source for single interrupter.